i am looking at a '15 Kia Soul + (46k) and a '13 Honda Fit Sport (71k). Love the Fit handling and accereration; love the Kia front seat storage and bluetooth. (Kia 's not bad for handling and speed either.) The Honda has been meticulously serviced; the Kia was owned by a rental agency and has no records. I'm torn between newer/fewer miles and the nicer handling of the Fit. I was 100% for the Soul until you said it was owned by a rental company. 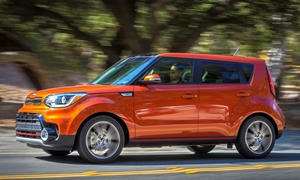 The Kia is newer, more spacious, more comfortable, and it has less miles. The Fit is reliable and fun to drive, but not as comfortable and very tinny. I think the Soul should be priced at around $13k and the Fit should be around $10k being a subcompact. Hondas hold their value though. If the Fit is $13k, it should be a 2014 at least since these are not that expensive when new. My suggestion is to look at the 2012 or newer Mazda3 Hatchback. It has a decent amount of space and is no doubt the most fun to drive compact car. It is safer than the Fit. These will be a much better value than the Fit, comfort-wise and what you get for the money. These have always been reliable. All of these are great cars. Just don't get a former rental car. New 2018 Kia Soul Base for sale at Don Beyer Volvo Cars Subaru Kia of Alexandria in Alexandria, VA for $13,128. View now on Cars.com. 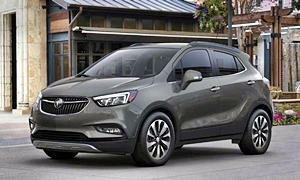 Or a couple thousand more you can get skip the economy cars and get a Buick Encore for $16,000's along with a longer warranty. I drove a Soul across Colorado and Utah my last vacation and I was pleasantly surprised. It was a nice ride and very fuel efficient. It has an amazing amount of cargo space, way more than the Fit. An Encore has the least of these three. The Soul handled well for a car its size and the shiftable automatic transmission was a huge help going up and down mountains. The plus model has the larger engine too. You may be able to find a certified car in this price range. Our 2013 Encore was very comfortable and with folding front passenger seat is within a few cu ft of cargo holding vs the Soul. We folded that seat to haul an Ikea flat pack home with my sitting behind me for the two hour ride. That front fold seat is a must for small cars like these. Handling, accleration, and braking is a wash between the two. But that turbo 1.4l would do better climbing hills and at higher elevation as the engine just makes .ore boost as the atmosphere thins. If you can keep the Encore at 60 mpg be prepared to be rewarded to almost 40 mpg...with AWD. Norm has his facts wrong, the Soul has 61 cubic ft vs Encore's 48. Not even close. I think Norm was arguing that by folding the front seat he can make up for the Encore's smaller rear cargo area. This will depend, though, on what one is carrying and on whether one has a passenger. I like the idea of this feature myself, but it's offered on fewer and fewer cars, suggesting that few people care about it. The Honda Fit's front passenger seat also folds to extend the cargo area--sort of. Instead of folding forward, it can be reclined to form a semi-flat surface with the rear seat. This does expose the seat fabric to cargo. Even without reclining the front seat, the Fit comes pretty close to the Soul in cargo volume--it's very efficiently packaged. Unfortunately, to do this they placed the fuel tank under the driver seat, so it's not very large and tall people will find that the seat doesn't go very far back. Be sure to pay close attention to seat comfort in the Fit. I hear more complaints about seats in Hondas than all other cars combined. I personally find the lumbar bulge and headrest position uncomfortable in some Hondas. Rental car companies usually maintain their vehicles well, so I wouldn't be concerned about how well it was maintained. A larger question is how well it was treated by those who rented it. I'd closely inspect it for any signs of abuse. 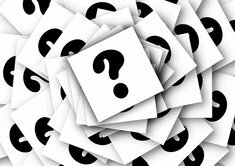 Could the answer be a different Soul, one that wasn't previously a rental? Are other used Souls that weren't previously rentals much more expensive than this one? On depreciation...Hondas continue to retain their value better, sometimes much better, than Kias. This is because people expect them to last longer, and they often do. Still, I've long thought that people pay crazy money for used Hondas. This has enabled Honda to charge more for the cars when new, not so much when comparing sticker prices but definitely when comparing actual transaction prices after discounts and incentives. The upside of cars that are relatively expensive when used: they'll keep holding their value better. This is mostly a factor if you'll be selling or trading the car within just a few years. The longer you'll keep the car, the less depreciation will matter. The upside of cars that don't hold their value: they're cheaper to buy now. This is somewhat the case with the Mazda3 LectroFuel suggested. 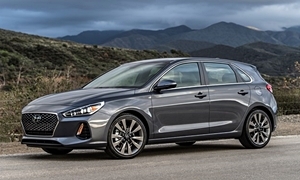 It's even more the case with the Buick Norm suggested (as he tends to do), the Kia Soul you're considering, and hatchbacks like the Kia Forte5 and Hyundai Elantra GT. The last two are heavily incentived and discounted when new and should be very affordable used. You have a point with the seat that folds flat in the Encore. I think the Fit's seat folds like it does so you can sleep in it like the Element. I surely wouldn't put a ladder or something on the fabric. BTW, my friend owned a 2011 Fit and he didn't like it because of how tinny it was. There is a lot of road noise and it isn't the most comfortable car. I like the car and think it is currently one of the better subcompacts. The Soul just gives you more for the money. Buying a used Honda isn't a great value because of their low depreciation, like mkaresh said. Kia, Hyundai, and Toyota have caught up to Honda in reliability. Kia and Hyundai depreciate a lot. I've remember reading that the Fit doesn't have a comfortable driving position. It is the best at interior space packaging, though. I test drove a 2015 Mazda3 that was a previous rental car and it was messed up. When at full throttle from a stop, shifting from 1st to 2nd gear made the engine cut out for 3 seconds in an automatic. I'm was guessing a bad torque converter. That made me stay away from rental cars for good. People don't treat rental cars well because they don't own them. Even if the car had no signs of powertrain wear I wouldn't buy one. Just the fact that hundreds of people drove it is bad enough. You won't find a Honda rental or fleet car because they don't have a fleet program. People are seeing an average of less than 26 MPG in the Encore according to Fuelly, which is based on 96 owners and not just Norm. The Encore, which is a Chevy Trax, is not as fun to drive as the Fit or Soul and is slow. The base engine is as slow as a Prius and it returns 28 MPG less than the Prius. If you buy a Certified Pre-owned Kia, you get the 10 year/100k mile powertrain warranty and a year/12k miles of bumper to bumper warranty. Or you can buy new with a lot of incentives. Fit will trump for cargo carry (not siginificantly larger than Soul, just more flexiable) and fuel mileage - should get over 30 combined and 36-40 highway with a light foot. They are quite fun to drive, but tinny and rough riders as has been mentioned. That is why I bought a VW Golf rather than a Fit in 2017. Soul is a great package, more comfortable and simply more substancial feeling than the Fit. it handles quite well and gets reasonabaly good mpg - should get 2-28 combined, 32-35 highwaywith a light foot. Ergonimically the Kia is one of the better cars at any price for people who are feeling a little stiff or less than "fit". Rental returns are a mixed bag: Many companies maintain them well, but as said, lots of uncaring drivers who drive it like it was stolen - or at least rented. (Google "Its A Rental" for a very funny song about rentals). I'd avoid the rental return especially if there are no maint records. Although welll equiped Souls are ususally often more expense than a similarly equiiped Fit, the Soul often is available new at dramatic discounts, especially leases. So shop around if Soul is what you're wanting. Not sure what creature comforts are important to you so be aware that the $13K Soul Base a true Soul but not also somewhat of a "stripper" model. Mazda3 is somewhere between the two, but less interior space than either Fit or Soul. Well cared for any of the above all should go 150,000 without major repairs. Other Kia / Hyundai models are nice cars but in my limited experience, the Sould simply has a more substancial aire of solidity, comfort, and higher fun to drive factor -- maybe its the hampsters! If comfort is high on your list, look for that bargain new or slightly used Soul. The 2nd generation (2009 - 2013) which was made in Japan (3rd not so much - made in Mexico) is perhaps the most reliable car made based off of Consumer Reports, True Delta, and too much time reading reviews. It does have a weak 12V battery though. This is also the case with cost of ownership which most likely will be as good as it gets given its reliability, low cost of repairs, and high resale value. The Kia has improved its reliability but still is not in the Honda's league. It is fun to drive, being quick (not fast) in most driving situations. The auto shifter adds a lot of flexibility as you can down shift in drive if need be. In Sport it is even better as the paddle shifters give you almost immediate response up and down. Sometimes it will take over though if, for for example, you are going up hill. You do need to downshift and rev it a bit to wring a little extra from it and it can leave you hanging if you get too cheeky so a little planning is required. The 5 speed manual is even better and a joy to drive (the Mazda 3 being Nirvanna though). The handling can definitely get you in trouble as its limits are fairly high and entrance/exit ramp speeds can get out of control. Once it reaches its limits its height/tires/solid rear axle will give limited warning with body roll being the chief indicator you are asking too much. The interior is a study in efficieney of space. I have yet to be in a car that can hold so much with so many possible layouts while being so compact on the outside. The steering wheel (from the Civic Si) is the best I have encountered in 30 years of car ownership and the front seats will fit most sized humans in semi-sporting comfort (from the Honda Accord). The lack of seat height adjustment is annoying though (gas tank placment). The rear seat fit even 2 tall folks and are good over short to medium distances. The gauges are typical classic Honda, easy to read, laid out mostly logically, and handsome as well. The quality of the interior is high qualitly for the price with the typical Honda precision feel. I don't get the tinny effect much, especially considering the price point. Now the bad. Although visiblity is top-notch the windshield is a headache. It is huge and sloped at just the wrong angle. We originally bought the car for my mother and she couldn't keep it because of the glare in sunlight. I have better eyes and can cope with sun but headlights at night still reflect way too much. I did not have this problem with my last car a 2005 Prius which also had a large, sloped windshield. The climate control adds to the problem. It cannot keep up in cold and or humid conditions as it takes a very long time to get and keep the windshield clear (more so as you get farther up). The side windows suffer the same fate. Heat is good enough but not great and the AC is just good enough (I don't use it often). Thankfully the rear defroster works well. The ride is taut in the Sport. Not harsh but not smooth either. It is composed over most road surfaces but will get jarring over harsh pavement and highway expansion bumps will cause the rear axle to 'hop'. Road noise is present, especially at highway speeds. I don't find it annoying and have gotten used to it but it will be a bit fatiguing on long trips. Instability in windy condtions at highway speeds can be disconncerting so be forewarned. The car is light and tall so although not a design flaw if you live in a wind belt you might want to reconsider. Fuel economy is good (I am in the mid to low 30s in 50/50 driving) but could be better given its weight and lower horsepower. The gearing does not help as even in fifth gear the revs are high on the highway (adds to noise factor as well). So if you don't live in a very cold/warm climate (I live in upstate New York) or a windy one it could serve you quite well. Also be aware of the glare issues if you have problems with your vision. As for the Mazda 3 I would cross the 2012/13 off your list unless you can steal one. They are a blast to drive but the interior is space challenged. The front seats are good enough for most but the back seat is good for kids/pets only. 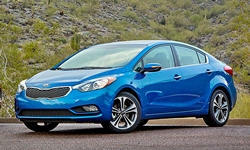 The hatchback offers some versatility but is is not even close to the Fit or Kia. You do need to sit down to get in so bad backs will suffer. Interior materials are a mix of good and bad as well. The gauges are good and the shifter is just about perfect (thank you Miata). The exterior is... (Mazda smile experiment). Visiblity is good enough but not great. Reliability is excellent although the dealer network is limited especially in rural areas. The 2014 and newer is worth consideration though if you don't need the space of the Fit/Soul (made in Japan only - check VIN). Its build quality/design is closer to a European car and the exterior/interior is handsome bordering on beautiful. It is a car for those who love to drive with linear handling with very high limits and power (especially with the manual - auto/man is excellent as well) that puts it on the border of a fast car (the optional larger 4 cylinder will get you into that realm). This is not at the expense of fuel economy as it is as good if not better than the Fit (as long as you don't stomp on it all the time...). The front is fairly roomy with logical gauges (except for the afterthought digital tach - Zoom?Zoom?). The back seat works for 2 adults of most shapes and sizes and isn't bad on a long trip but I would would call it cozy (not cramped though). Cargo space is better than the 2012/13 and is utiliarian but still does not compete with the Fit/Soul. It is lower to the ground so prepare to get down to get in and get up to get out. If this tells you something, in the end I will be selling the Fit in the future. When a 2014 Mazda 3 comes down in price that is what I will be purchasing. But I miss my Audi of years gone by and love to drive. And more cargo space is not a necessity for me as it once was. Para7dox, If you haven't already posted a review of at least the Fit, you should. You've got a lot of good information here. One additional note on the Mazda3: while the 2.0 models have the awful digital tach, the 2.5 models have an analog tach in the center with an inset digital speedometer, much like my RX-8. Para7dox, you should be a journalist or apply to Car and Driver. Really good write-up. I bought my son a 2015 Mazda3 i Touring Sedan with 20k miles. We've only had it for almost a month, but I have some likes and dislikes. The digital tach is horrible, but readable. If you plan on owning it for a while and are willing to pay the money, it is a reason for itself to get the 2.5L (s), which has a physical tach. The backseat is smaller than some other compact sedans, but it is still enough space for two adults. The Sedan is less desirable because the Hatch has almost twice the cargo space. The Sedan is the best value though, because these are $2-3k cheaper than a hatch of the same trim/miles. MPGs are great; 41 on the hwy, 30 in the city. The car has very little body roll and has good steering feel, which makes it very fun to drive. The interior is beautiful for even a $30k car. The exterior looks like a $40k car. The ride is very firm, but not uncomfortable. The chassis is very solid, the doors are solid, and the interior has no rattles. There is road noise although it doesn't feel tinny at all. It is the perfect car if you want something fun to drive and don't need a lot of passenger space. 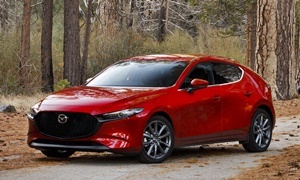 The Mazda3 is a good alternative to the Fit because it feels way more substantial, is fun to drive and comfortable, gets better MPG, is better looking, and is around the same price used. If you need space primarily, this is not the car for you. The Fit is. I think the reason some people think the Mazda3's rear seat is usable, while others find it tight but acceptable, is that people differ in height. There is enough space for four people of average height.